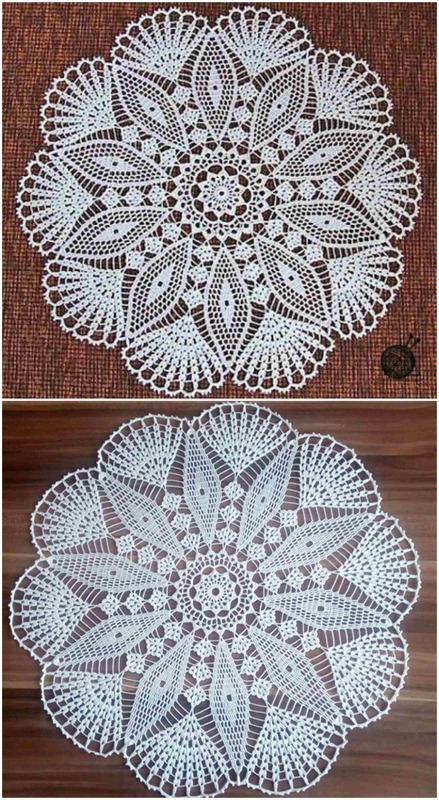 Hello my dears, today at the pretty-craft.com we decided to share with you lovely doily’s patterns, which we have found shared in the internet. There are many doily’s free patterns shared online, also we have some doily’s shared here, but in my opinion those two shared on this day are the best. Look at this beauty and imagine how you will surprise everybody around you, when they will discover, that it is your handmade. Here is a only scheme, using which this doily is crocheted, if you can read it, there will be no problems for you. I hope you will like this doily, will come back on this blog and see other free patterns, which we post every day!